I’ve been traveling a lot, but fortunately cleaning up my study revealed many sketches a drew a few years ago! This one stalled at the sketch phase because I could not figure out how to express Boot’s emotions to my satisfaction. Bunson being zoomed along by Boot. 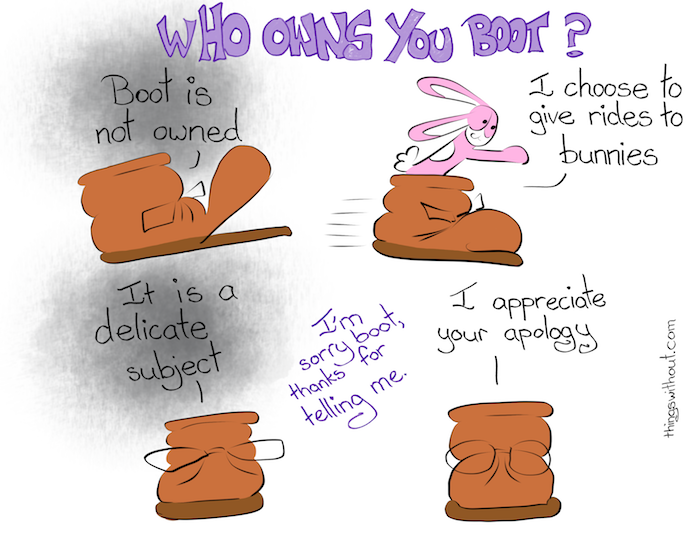 Boot: It’s a delicate subject. I’m sorry Boot, thanks for telling me. Boot: I appreciate your apology. Thanks to all my patrons and special big extra thanks to Helen, Dennis, and Ralph, Sandra Fowler, Matthew Noe, Sandra M. Odell, Erik Owomoyela, and Stacy & Alma Smyth.